Save Up to $2,000 on Your AC Unit Install! When it comes to your air conditioner at home, we’ve got you covered! We service all makes and models, even the brands we don’t carry! Call Coast to Coast Heating & Air, LLC for your residential air conditioning repair today! Not all Air Conditioning repair is done equally. There is a big difference between high-quality ac repair and inferior quality repair. When your AC unit goes down, you want your repair to be done right. Many companies employ jury-rigging approaches. At Coast to Coast, our repairs are done professionally. We don’t take shortcuts and only use high-quality parts. When we troubleshoot your ac unit, we take a look at all of the components, not just the failed part. This allows us to find additional issues that haven’t surfaced yet. We like to think that we give our customers a complete diagnosis of their air conditioner. If you have a serious issue, and it is advantageous to replace your ac system over repairing the old one, our technician will give you a thorough explanation of why this is the case. Sometimes it doesn’t make sense to fix a unit. However, we will NEVER recommend an unnecessary replacement and always have in mind what the best is for you. We never employ any pushy sales techniques, so you can make the best decision according to your situation. If you are interested in a new air conditioner, click here. Sometimes AC repairs can be complicated. We’re confident in our technicians and their ability to fix your air conditioner. We’re quick to follow up, and if you have any issues in the future we will always be willing to help. When you are a Coast to Coast customer, you will never need another air conditioning company. Own or work for a business? Coast to Coast Heating & Air, LLC also offers commercial air conditioning repair and installation services! High-quality ac repair doesn’t have to be expensive! All of our repairs are fairly priced! We use a flat rate system so you don’t have to worry about paying us hourly! This works to your advantage because it allows our technicians to take their time and diagnose your ac unit thoroughly. No matter how long it takes to diagnose your system, you pay the flat fee of $69! Use the coupon below for your first service call with us! For a list of our other current offers, visit our Special Deals Page! Air Conditioning Repair can get messy! That doesn’t mean your home has to pay the price! We clean every job site thoroughly, leaving your home spotless when we leave. We believe little details like that matter. This was my first experience investing in an Air Conditioning unit and I have to admit I was extremely impressed. Kurt came to my home, assessed my old unit and discussed my options of fixing or buying new. He never attempted to sway me either way so the decision I made was mine, no pressure simply well informed. My appointment for install was set for the upcoming Friday. Peter ( the owner) and his crew were prompt, polite, professional, informative and answered every question I had without losing patience or brushing me off. They took the time to show me the issues with my old unit and explain in detail everything I needed to know about my new unit. They were finished in a timely manner and made sure there was no debris left behind. I will use Coast to Coast for my annual maintenance and will refer anyone I know with air conditioning needs to this fine company. I am a happy and cool customer for sure. First time using Coast to Coast and was very satisfied. Kurt (or was it Kent?) was very courteous, and he serviced and cleaned the air conditioner better than previous companies. Price was very fair. Will definitely use Coast to Coast again. My name is Gene Harvey Jr. I highly recommend Coast To Coast for all your Heating and Air Condition needs. They are a family owned and operated company that provides professional services, top of the line equipment and competitive pricing. Peter and his team are high Character, high quality people. They will hard to meet the customers needs. We were fortunate to have Peter of Coast to Coast HVAC service our residence for the past 15 years. Peter and his staff members have always been very professional, courteous and friendly. Our units have functioned as required and one one occasion when the HVAC failed, Peter came after dark and replaced a part, getting us back on track within hours of our call. We have happily recommended Coast to Coast to many of our family and friends based on 100% satisfaction. Peter and Coast to Coast as a whole has our wholehearted trust. Excellent service! Within 2 hours of our call very qualified serviceman Kurt was at our home. His professional attention and repair was impressive! Will recommend Coast to Coast to anyone with air conditioner problems. Quick service and incredible knowledge. Happy customer. We have been using this company to service our air conditioning and heating for over three years. We are very satisfied with their thorough maintenance program. They are very reliable and take the time to explain things. The service technician that has been servicing our units is Raymond. He does an excellent job that will probably extend the life of the equipment. I recommend this company highly. I have been doing business with Coast to Coast Heating and Air Conditioning for over a year. Peter and his technicians replaced my entire AC and furnace last year. They did a great job and it was very affordable. The unit runs great even when the heat index is over 100%. Peter always called to remind me of my maintenance appointments and his technicians are always on time and very courteous. I will recommend this company to anybody. Everyone in Florida knows that AC is a number one priority! Our AC wasn't working and it was Coast to Coast to the rescue. We are VERY pleased with Peter and his staff. Everyone is friendly and knowledgeable. In the past few years we have used Coast to Coast for both AC maintenance and repair, and would never hesitate to recommend them or call upon them again. 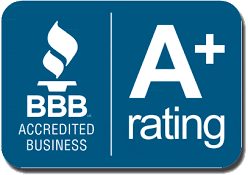 It is great to have such a reliable and trustworthy company in our community. Peter and his techs have always been so wonderful. My mom hooked me up with coast to coast 3 yrs ago when they put in a new system and they were by far the best prices around ! As we had estimates from 2 other places as well. On top of the great price we were given, they are ALL very friendly and take their time explaining any ?ns I had. I recently had one little minor issue and Peter got right back to me and one of his techs came out the next day, and got the problem fixed AND he didn't mind taking his time showing me where the problem was and doing the job at a minimal cost.. Thank you so much ! I would NEVER go anywhere else !! When our AC system stopped working on a Saturday, Peter was able to help me figure out the issue over the phone. Turns out it was a very simple fix and now we don't have to sleep in a hot house tonight! Thank you guys so much! I will not hesitate to call again if I have issues again. Excellence in every way. They genuinely have the customer's needs in mind. I highly recommend them. Coast to Coast Heating & Air , without question is The Only AC company anyone should consider hiring for repairs and full system installations ! Following hurricane Irma we sustained substantial damage and power outages which disabled our AC unit . On a blistering hot Sunday afternoon, Peter the owner of C2C heating & air who was also in the middle of cleaning up from the hurricane at his own home , stopped everything and came to our assistance in his personal vehicle and repaired our aircondioner! !! ...this man is the leader of a team who exemplifies the meaning of professionalism ! You would have to be crazy to hire any other AC company. Thank you Peter once more for you kindness! We will always be in your debt! Superior service and honest people, I have been a customer for quite a few years and have a contract whereby they come out twice a year for maintenance on the unit. Will definitely call them when I need a new unit. Spoke with Peter.He was extremely helpful.What a blessing. I felt confident that my issues would be resolved immediately after my conversation on the phone with him.Thanks Peter! When I first moved here I could not get my ac to work, I called Peter and he walked me through it on the phone. NO CHARGE!! Then I called him to come and service ac. Tech was very polite and professional. He explained what he was going to do. I joined contact for a year, one of the best moves I have made. Keep up the good works! Raymond was completely thorough, friendly, and extremely ethical. When my mother asked about buying a new thermostat, and only after checking it, he advised her that it was working fine and it would be a cost that was not necessary. He spent almost two hours checking and cleaning every inch of our system to be sure it was working properly. I highly recommend this company. Been with C to C for 3 yrs now and from my first emergency call to present these folks have always been very thorough and professional.They have top notch technicians who get it right the first time. Thank you . This company is excellent. I had to have my whole system replace. They were very fair in their price and are very professional. With a service contract they come every 6 months to check to make sure everything is running smoothly. I would recommend them in a heart beat. Thanks, Coast to Coast! Peter helped trouble shoot a new wifi thermostat I had installed. After 30 minutes helping me over the phone he came to my home and promptly resolved a wiring problem I had created. What great service call and what very professional person too!Thanks Peter!! We moved here two years ago from out of state. We were looking for a small company that we could count on. So we gave them a try and I am glad that I did. They have been great. The house we bought had a leak in the ac system they fixed it on the same visit. We have had them on contract now for two years, coming in the fall and spring to check out our systems. They do a great job cleaning the systems out and keeping them tuned up. We would definitely recommend them to do your work. There prices are very reasonable and they never leave a mess behind. There men are very courteous and neatly dressed. All around a great company to work with!!!! Honest, reliable and great customer service with the most reasonable prices I have seen in Florida in my 14 years as a resident. I highly recommend this company. You will not be disappointed. We had a new air conditioner and air handler installed by Peter and Ray of Coast to Coast Heating & Air in 2014. This unit has been serviced by Ray every 6 months since that time. Both Peter and Ray are exceptional in both their work and customer service. I highly recommend them. We feel that everyone should start the New Year Right - what better way than to have Coast to Coast Heating & Air, LLC, Dunnellon, FL take care of your heating & air conditioning needs. Coast to Coast was recommended to us a couple years ago at the height of the long hot Summer. Our unit had died. The men from Coast to Coast came out immediately. They got our old system to live again while they prepared to install a new one. Peter and his crew go above and beyond "customer service". We would also highly recommend you get the service contract. With that Coast to Coast just calls you and comes out on a regular basis to make sure all is functioning smoothly. We feel it is also important to know that right off the bat with the new unit installed by Coast to Coast our electric bill dropped $100.00 per month! There should be more than 5 stars. Peter, Ray and the whole crew have earned them. We sure are glad they were/are there for us. Having Coast to Coast as my provider to service my air conditioner is a pleasure. i have had a contract with them now for over three years and I am extremely pleased with the service they provide. The technicians, Ray and John , are very professional and courteous. Any questions I have are answered promptly and in a knowledgeable manner. I am pleased that Peter thinks enough of his customers to give them the most courteous respect and good advice that he can. Again, thank you, Coast to Coast!! Coast to Coast Heating and Air LLC is my choice for someone to service my AC. I have a ground water heat pump and most service companies don't know to deal with them or will not deal with them. The systems are dependent on the water supply. Other companies having determined that my problem exists because of the water supply usually say, "It's not our problem. It's the water , call a plumber." I tried that only to have the plumber say, "IT's not my problem, call an AC company." This is not what I wanted to hear when I had just spent $8900 on a system and the company that installed it told me to call a plumber. Fortunately, a plumber I called referred me to Coast to Coast. A technician came out determined that the problem with the water was caused by a faulty solenoid which he changed and had me back in business very quickly. Their technicians have continued to service my system twice yearly and I am very pleased with their service. I am pleased to heartily recommend Coast to Coast Heating & Air LLC. Coast to Coast installed a new HVAC system for me in 2015 when the old one was no longer economical to repair. They are very honorable to deal with, and their service is top-notch. I signed an annual service contract with them, which I never do! I trust these folks.2018 update: I continue to have utmost confidence in Coast to Coast's service. Just had our AC system serviced. Coast to Coast called the night before to schedule the appointment. Josh and Ray arrived on time today and completed the inspection and provided us a detailed report. Honestly, you can't ask for more, or for better service. We highly recommend them for all your AC needs. Coast to Coast was recommended to us by a friend, and we're so happy they did. Peter came out, gave us an estimate and didn't upsell something we didn't need. He was articulate explaining all that he and his staff would be installing, and put everything in writing prior to doing any work. He was on-time, clean, and he didn't leave a mess when they completed the job. We highly recommend them and look forward to passing our comments on to others. Really great company. When our air conditioner broke Coast to Coast showed up the same day to fix our unit. The service techs are top notch, well versed on A/C repair and are hard workers. I am really impressed with Peter and his business. I don't look anywhere else for my heating and A/C needs. After comparing 3 companies, this one had a fair price for a quality unit. I was really glad we were recommended to this co. The unit was installed perfectly, has had no problems in 4 years and our power bills went down. I trust Peter and Raymond with the follow up. Very thorough and professional. Peace of mind when you find a quality contractor! Yesterday Coast to Coast was by for our Spring Maintenance inspection as we have a service contract with a Spring and Fall check. We have been using Coast to Coast for 10 years and the streak continues of having a very friendly, professional and competent person to check our systems. And I should add very honest and reasonably priced. Whenever something went wrong twice over the years between check ups we called and Peter had someone out that day or the following day to fix the problem you won't go wrong with Coast to Coast for your AC/Heating needs. Hiring Coast to Coast Heating & Air Conditioning was one of the best decisions we've ever made! Peter returned my call and responded onsite within a couple of hours. He inspected our system at no charge and recommended a replacement unit. He was very patient in answering our questions. Installation was very professional and the new system was installed and working in only a few hours. A few weeks after our home unit was replaced, another A/C system that cools our barn feed room/office and workshop broke. We have a 501c3 non-profit horse rescue organization (Beauty's Haven Farm and Equine Rescue, Inc.) and our volunteers work hard and deserve a cool place for breaks! We also have feed, medications, and supplements that need to be kept in cool locations. Again, the response was amazing and, fortunately, the system was able to be repaired. The cost for each job was very reasonable. We were very blessed to find Peter when we were shopping around and we definitely recommend Coast to Coast Heating & Air Conditioning for repairs and full installation systems! Coast to Coast is the company you want to use for your a/c needs. They are efficient and skilled in keeping our system working. We have a maintenance agreement with them. They call and schedule twice a year to check out our system. Whenever we have had a problem - they make us a priority and they are here quickly. The technician is personable and explains everything. We get a detailed report of what he did - also a perk of having the maintenance agreement is you get a discount on parts. Excellent company. Thanks. Coast to Coast. This team is very professional, thorough and always ready to respond when you need them. Their service is extremely reasonably priced even better than competitors considering the service they give you. I would recommend them to anyone who asked. This is the second time I have used Coast to Coast in the last 6 months and once again I am thoroughly pleased. First was for my mother -in-law (due to another air conditioning company trying to sell her on a new unit) and Coast to Coast came out to fix what was ultimately a minor problem. Today's call was for my unit and once again excellent service by Peter's techs. Would definitely recommend Coast to Coast. We had been using another company to service our air conditioner for the past few years. They did not do one half of the things the technician from Coast to Coast did! Our air conditioning stopped working...of course on a weekend. When I called in, they took the time to tell me what to check and immediately told me to turn off the a/c until they came out to prevent any damage to the compressor.They were out the next day at 8 am..and ON TIME!! That alone was quite impressive. Additionally, it turned out to be the capacitor and everything was explained to us before service was done and after. As a woman, i will tell you the most impressive thing to me was that the tech put on booties before entering our home when he had to go inside. As real estate agents in the area, this company will be the first we recommend to anyone needing HVAC services. Thank you for being so professional and courteous. Coast to Coast service is great. Ray was very nice and helpful. He explained everything he did. The price was very reasonable. I would give them a 10 for service. We have been using this company since 2012. We would not have it any other way. Professional, reliable, courteous they get the job done. The owner is one of a kind. When you call that number he is the one who answers the phone and or will call you back. That is someone who takes pride in his business. Excellent company. I had a great experience with Coast to Coast Heating and Air. The company I have been using for the last few years said they were too busy to do maintenance on my units. I called Coast to Coast and even though they were also busy they came out to my house immediately and spent a long time making sure everything was in good running order. The technician was very knowledgeable and friendly. No mess no issues. I highly recommend this company. Two people recommended this company to me. After much research and thought, I decided to give them a try. I am so pleased to say that I am very, very satisfied with this company. It has been a little over a month since we had our new unit installed and it has been working great!The owner, the workers, and others who were involved, were very professional, courteous and helpful. The thing that really impressed me was that the workers left the area cleaner than when they first came.I highly recommend Coast to Coast to anyone who needs to have a new unit installed. Very professional Peter went out of his way to make sure he have us done as soon as possible installed new system and technicians were very efficient and professional. Great job, would highly recommend coast to coast. Very satisfied! Josh came out to perform regular maintenance on our AC unit. He was knowledgeable of his field answering all my questions. Josh arrived on time and was a friendly and professional individual cleaning up before leaving. I recommend Josh and his company. Our AC stopped cooling in August, the hottest part of the summer. Coast to Coast Heating & Air installed the unit before we had bought the house. I called them the next morning, and within an hour I received a call from Pete. Because AC companies are especially busy in the summer months, I was expecting a day or two delay. To my surprise, the tech was at my house before noon. Curt was professional, knowledgeable, and courteous. He had the problem diagnosed and corrected within an hour. The part was also still under warranty! By far the best experience I have had with an AC company. I highly recommend them! A friend referred us to Coast to Coast and we are so happy they did! This was the first check up for our unit and the technician spent alot of time cleaning, checking, and explaining what he was doing. We received a very detailed report on all work done and the condition of the unit. The technician was very personable. Wish we could give them 10 stars!! Coast to Coast replaced our old heat pump on Aug. 2, 2018. During the estimation and replacement phases of the job, all employees we had contact with were courteous, professional, and well-spoken. There was no foul language used at any time during the contacts. We are very pleased with the system installed, the work performed, and the follow-up after installation. During the installation phase, the technicians were very meticulous about the work they did and the cleanup afterwards. They were also very proficient in the completion of the job the right way the first time. We would highly recommend Coast to Coast for heating and air conditioning equipment installations. Very efficient and trust worthy. Very thorough on pinpointing the issues and is very knowledgeable. I didn’t have to stand there to make sure new parts were being installed for the repairs. I would feel comfortable using Coast to Coast again. Very communicative company, always kept abreast of the schedule. As the technician did his work he too kept me informed along the way showing me the details of his analysis and the background of his recommendations. Very fair pricing too. About 2 months before they came out I had a problem, and at the time I was not even a customer, I called them after reading a number of positive reviews. It was late in the day and the technician coached me over the phone with the solution. I highly recommend them! The customer service is excellent. I received notice that the technician was on his way. The Technician "Ray" arrived on time. Ray was very professional, went beyond the scope of the service call and made me feel that I was truly valued as a customer. I highly recommend Coast to Coast. My husband and I have been very pleased with the quality of service from Coast to Coast. Definitely a keeper. The peace of mind makes it worth it. Thanks. Always professional and timely. I can count on Coast to Coast and have used them at our home, my mother-in-law's and at our rental house. Excellent response time. Very knowledgeable staff. Have been using Coast to Coast for years! They never fail to answer the phone when I need them and provide prompt, courteous, professional service at affordable rates. My most recent experience had one of my rental homes AC down. The technician found out what was wrong quickly, addressed the issue then proceeded to clean the coils for improved efficiency and life. Coast to Coast is not just a vendor they are a partner in my business. Call them and they will take care of you too! Kirk was super in every aspect. He took the time to explain and answer my questions. If you get a postcard from another company offering service for $29.95, it's to sell you something expensive and unnecessary.Had them back to install a mini split heat pump in my garage. The crew was polite, friendly, professional and efficient. End result is outstanding. We were very happy with the whole process. The installation went as planned. They were on time and very neat. I would highly recommend to anyone needing HVAC equipment. The technician was not only polite and friendly, but explained what services would be rendered on this visit. It was not simply a half hour service, but very comprehensive and detailed. I was very pleased with his excellent services. Javier worked on our two heat exchanger units today and he did a beautiful job. Although, it wasn't what I wanted to hear, he was professional enough to advise me that one unit is close to the end-of-life and we should be prepared to replace it or make some necessary repairs. I appreciated his honesty and also his documentation of the problems along with some pictures that he had taken. Hi Pete & Kurt! Today was the semi-annual inspection/maintenance of my HVAC system. This was my third year with Coast to Coast. This time Javier was the service technician. He was here in the ahead of the scheduled time which I found quite refreshing. Javier provided a thorough professional inspection of my system. He was pleasant, professional, and helpful. I continue to be very satisfied with their performance. I would definitely recommend this company! Have used this company for years and am always happy with their service. Honest and reasonable price. They fix the problem instead of pressuring you to replace your unit. Great company and employees. New tech Javier Rosario was great and informative. Coast To Coast is by far the best company I've dealt with, ever! Integrity and ethical are only a couple of compliments I can share. Our service tech, "Javier", was punctual, courteous, informative and not at all trying to pressure us to purchase additional equipment. Thank you, Peter, for your service and for hiring Javier! Friendly and professional service. Kept me in the loop about the parts coming in that I needed abd checked in with me to make sure the coolant they put in was lasting to keep my pregnant wife and myself comfortable until they could finalize the job. Kurt explained everything and left me some great recommendations on how to keep my ac running right. I'm very happy with the quality of workmanship from Coast to Coast. The installers were very professional, and everything was cleaned up perfectly after they finished. The price was competitive. The owner took the time to explain the benefits of each type of unit and helped me decide what would be a good replacement for my old unit. Highly recommend this company. The most AMAZING AC Company I have ever dealt with in my 40+ years of home ownership! !I have owned 4 different homes during this time & all but one had 2 AC units per home. 6 months ago they installed a new AC unit & the team was on time, so very efficient & clean. They even called me to schedule the 6 month free checkup!!! Do you think I would have remembered? Raymond came out & did a absolutely thorough check up even writing down the size of the filters I needed for future reference & said that he would be back in 6 months for the 1 year checkup!! What service!!! Excellent service, fair price, done right the first time. I will definitely use them again. Highly recommended. Everyone from owner to technician are very personable and very knowledgeable. No one attempts to sell you anything you don't needThe techs explain everything they are doingOutstanding. I recommend Coast to coast for your heating and A/C needs. Kurt came to our house new years eve. He was great. We have used this company the last five years. They always educate us and never over charge. Coast to Coast Heating & Air is positively the best. I love the service, the dedicated staff and the owner who manages every detail. Ray came out to change a filter for me and he made a complete check of both systems (one is new installed by Coast to Coast) and the other is an older system installed by the previous home owner. I took out a service agreement on both and Coast to Coast will be out again to do a complete cleaning of the vent system. First experience with Coast to Coast could not have been better. The owner, Peter, takes a personal interest in each client. The technician, Ray, was highly knowledgeable, skilled, and efficient. The service needed was performed quickly, options clearly explained in detail beforehand, and priced fairly and competitively. It's no wonder this company stands behind their work. No need to look further for timely, quality service and preventive maintenance. The Trane AC unit I purchased 8 years ago has been very reliable. Coast to Coast installers completed a difficult installation with a neat package that has been easy to maintain. The few repairs have been handled quickly and my AC / heat pump remains in excellent condition. I recommend the service contract. Raymond from Coast to Coast did a wonderful job on the maintenance of my 13 year old air conditioner. He cleaned it as if it was his own and replaced parts that will help to extend the life of the compressor and fan unit. Ray was prompt for his appointment, very professional and qualified and I was very pleased with his service. great company. fair pricing and very easy to get help when needed. wonderful owner and the techs are great. new system installed two years ago and the price was fair. when you have an appointment they are very punctual and always friendly. Tech Kurt arrived as scheduled. He was knowledgeable and proceeded with the job explaining critical points and made important suggestions to help keep the unit running efficiently. He was honest and courteous and cleaned up when job was completed. I highly recommend Coast to Coast Heating for any heating/cooling problems. Today my home AC/Heating system was serviced by Kurt. I have signed up for twice yearly checkups. I was very pleased with the service Kurt gave and his thorough explanations of all my questions. As I thought I needed duct cleaning which he recommended and he set me up to have it done today as well. Mark and Tony came out and did a fantastic job. I would totally recommend Coast to Coast for all Air and Heating needs. Everyone was so helpful and friendly and answered all my concerns. Also I would like to give a shout out to Kamil who took my initial call and set up his technicians to come to my home. He was very compassionate and got my service calls set up quickly and gave me updates to let me know when the techs were on their way. Thanks again for your wonderful service today. I highly recommend this company for any of your air conditioning or heating needs. From the owner of Coast to Coast to all his employees and technicians I have experienced courteous and professional treatment. Kurt and Javier have recently come to our rescue with a malfunctioning HVAC system. Their knowledge and determination in solving the problem with our system gave me comfort in the fact that I had chosen an honest and dependable company. Recently had yearly service done. Curt is always prompt, courteous and professional. Also had Mark perform duct cleaning and dryer vent cleaning. He was also prompt, courteous and professional. Both gentlemen were very concerned about tracking dirt into the house and cleaned all work areas thoroughly. Also explained all work to be performed and never in a rush to get the job done. Extremely satisfied with Peter and his crew at Coast to Coast! Would highly recommend them for service!! $1000 savings over a competitive bid. The young men did an excellent job in installing a new Trane unit. Showed me how to operate the unit and how to keep it running in top shape in years to come. Nothing but good praise. Left the area cleaner than when they got there. We recently had a new split unit ac installed by Coast to Coast and could not be happier. We received quotes from multiple companies and they gave us the best quote with the most confidence. The service technicians were extremely professional and knowledgeable and obviously took great pride in their work. The entire process was easy and stress free and I will definitely be using Peter and his team for any and all future ac needs. Coast to Coast responds quick and takes care of the customer. Peter does not try to hard sell you like other companys. He gives you your options and lets you decide what you need to do. I highly recommend Coast to Coast. Everyone that works there acts in a professional manner. After getting many quotes, Coast to Coast not only offered the best price for a Trane unit but Peter was very thorough in describing what we needed for our house. He was the only company that noticed the need to correct the duct work around the air handler as well as replacing all hanging hardware and copper. The techs that worked on our install were very good. They left the garage and driveway very clean and the installation looks professional. I would definitely recommend them over the competition. Peter was very knowledgeable and pleasant to work with. Got new unit, work was done timely and good job. His workers were very friendly and also knew what they were talking about. Would highly recommend Coast to Coast. Also ver affordable. Great job guys. Saved us tons when a shady company said we needed to replace unit that we took Peter's word on and lasted years longer. Now (2019) has professionally installed unit and supplied filled.out forms to get an energy rebate. 5 stars for honesty, integrity and professionalism. Tony H. came today to service our air conditioning. He was outstanding. We never saw anyone test our vents to make sure the air conditioning was operating correcting. We made a smart choice with Coast to Coast AC. Thanks so much for your outstanding service. We contacted Coast to Coast Heating and Air when our air conditioner quit working on Sunday. After talking with them we decided not to have them come out as an emergency call. It was cool enough for us to make it without air, for a little while. First thing Monday morning Kurt was here to work on it. He was very professional and easy to talk with. He walked us through his check points and explained everything he was doing. Thankfully it was an easy fix, the float valve was stuck. He also replaced the capacitor. He gave us a run down on the other services that they offered but was not pushy about it. We really appreciated that. We will be calling Coast to Coast again when needed and will be referring them to our friends and family should they need a fix. Great, quick service. Called and tech was there within the hour and replaced capacitor and relay. Had my family's AC up and running in no time. Would trust them with any repair. Love the way they use new technology to communicate and setup new appointments. Very professional. Take advantage of a FREE 2nd Opinion on major AC repairs and replacements! Don't be fooled into buying a new AC unit when all you need is a minor repair! You will love our honest, friendly and highly trained NATE certified technicians! No salespeople! Save big by having your unit perform at its peak and prevent costly failures! Let's Get Your AC Repaired! © 2019 Coast to Coast AC | All rights reserved. Crafted by Conor J. Green.